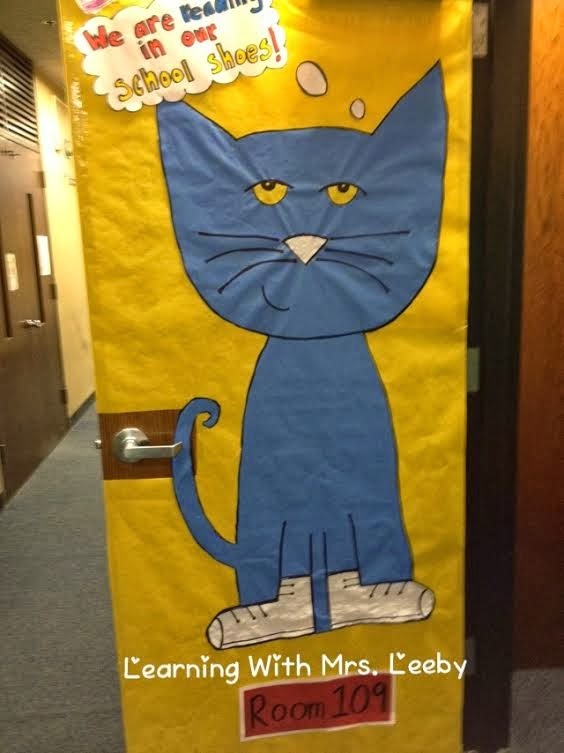 For, "I Love to Read" month we all decorate our doors according to a favorite book. We obvs had to do Pete. Each time the kids read a book, they write the title on a shoe and we tape it around the door. Between all of our reading, we do Daily 5. Now, if you don't follow my blog, then you are not aware of my Daily 5 obsession. I love it. The kids love it. It's flawless and the kids are learning. Our centers are consistent and I'm always printed 2 weeks ahead of schedule. Read to Someone: I set out a variety of books each week that the kids can read together. They have to sit EEKK. Have you downloaded my free Daily 5 posters? Help yourself by clicking HERE. Here are some pictures of a handful of Daily 5 centers during the last week. 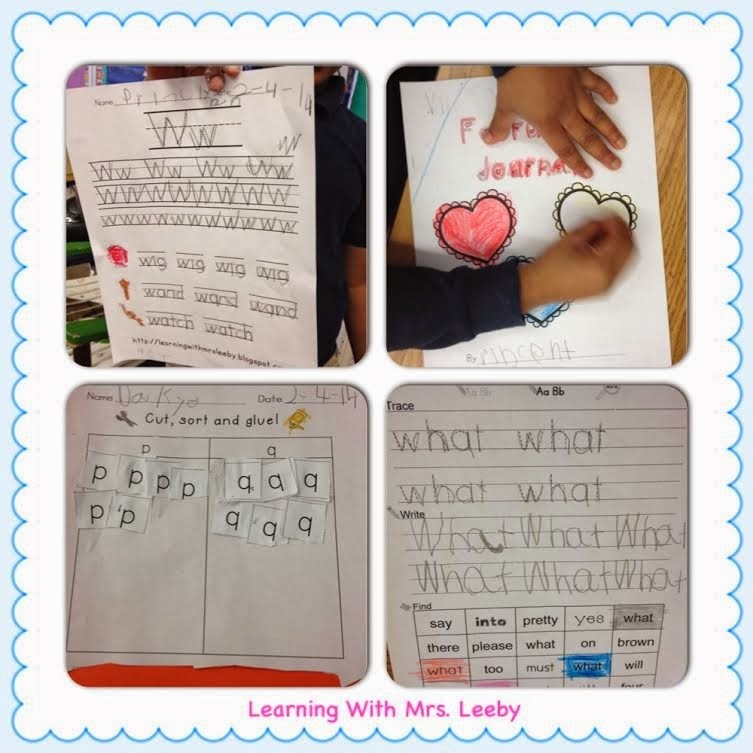 Trace, write and find "what" from a pack that I haven't published yet. . . .
Do you Daily 5? Any tips or tricks? How appropriate! 1100 teachers in Edmonton, Alberta, Canada will be meeting the Sisters tomorrow at a Daily Five workshop that they are holding here during our Teacher's Convention! Did you know that their dad is an Alberta boy? I use Daily Five with Gr. 3 students and use iPADs instead of CD players, with 'branches' which allow 2 or 3 students to be listening to the story at the same time. Wish I had more iPADs! I absolutely LOVE that idea! Thanks for sharing and commenting! I always had issues with Listening and the CDs getting scratched from the little ones switching them out. Now I have them listen to the whole CD or the same book twice (I try to pick longer ones) one with the turn signals and one without. This encourages them to closely follow along! Love your Pete! Love that tip! Thank you! Sweets for the Sweet! Freebie Link Up!